Last edited by that Fish Guy; 04/21/2018 at 03:47 PM. 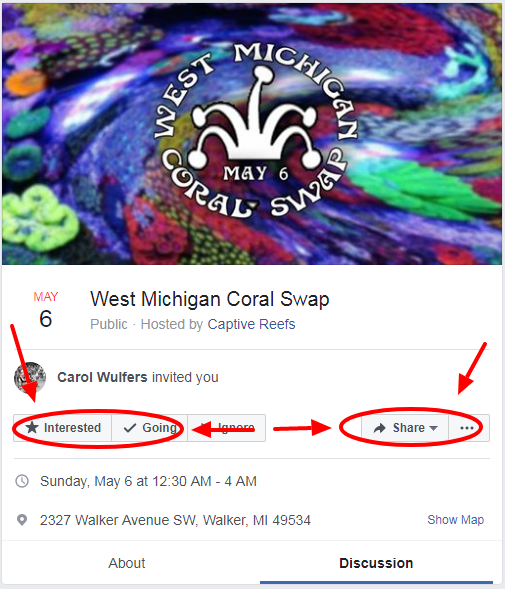 EVERYONE Please Remember to Mark "Going" or "Interested" on the West Michigan Frag Swap (Grand Rapids, MI) Facebook Event Page. The West Michigan Frag Swap (Grand Rapids, Michigan) is just 3 Weeks Away !!!!!!!! The West Michigan Frag Swap (Grand Rapids, Michigan) is just 2 Weeks Away !!!!!!!! Last edited by that Fish Guy; 04/30/2018 at 11:33 PM. Last edited by that Fish Guy; 04/30/2018 at 11:35 PM. Last edited by that Fish Guy; 04/30/2018 at 11:49 PM. My LFS told us about this a couple of weeks ago and we are planning to be there! This will be our first time! Frag Swaps are the Best. Just Bring Cash and a Portable Cooler to Keep Your Corals in. Had a Great Time at the Grand Rapids Frag Swap !!! !